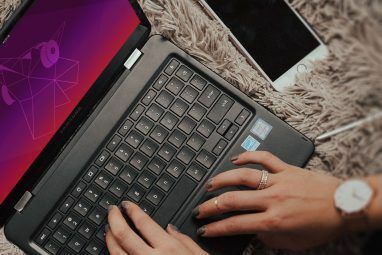 Not too long ago we gave you 12 tips on how to tweak your Ubuntu installation 12 Useful Tweaks To Make Ubuntu Feel Like Home 12 Useful Tweaks To Make Ubuntu Feel Like Home We'll show you some great tweaks that can go a long way to achieving desktop zen. Read More . However, it’s been a little while since then, and we’ve come up with another 10 things you can do to make Ubuntu feel even more like home. These 10 tips are quick and simple to do, so let’s get started! This will add the necessary repository, update the package lists so that it includes the new packages provided by the new repository, installs TLP, and starts the service. Then, find it in the Dash and launch it. This will add another repository, update the package lists, and install the indicator. Then, find it in the Dash and launch it. Then you need to head to Dropbox’s download page and install the .deb file that you download. You should now have Dropbox going. 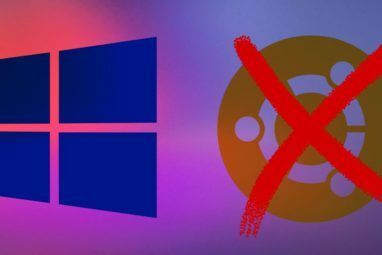 If you’re a bit tired of Dropbox, you can also try using Copy or even OneDrive How To Synchronize Files On Ubuntu With OneDrive How To Synchronize Files On Ubuntu With OneDrive Microsoft just bumped up the amount of free storage you get with OneDrive, so you might want to use it on your favorite Linux distribution. However, Microsoft doesn't have an official client for Ubuntu. Read More . Both services offer more storage for free, which is a big reason to consider using them. I recommend Copy more than OneDrive because Copy can work on all Linux distros. It’s great to stay connected with friends, and if you use instant messaging, you’re in luck. Pidgin and Skype are both pretty good on Linux, and they are able to connect to all the major networks. Installing Pidgin is as easy as running the command sudo apt-get install pidgin. Installing Skype is also easy — you just need to head to Skype’s download page and get the .deb file under Ubuntu 12.04 multiarch. Having the keyboard indicator appear on the desktop can be annoying for some. For English speakers, it just shows “EN”, and it’s potentially annoying because a lot of people don’t have a need to change keyboard layouts or be reminded that they are speaking English. To remove the indicator, choose System Settings, then Text Entry, and then uncheck “Show current input source in the menu bar”. The additional repository is needed for installing Java because Ubuntu no longer includes the proprietary version (which most people recommend for best functionality), but rather just the open source OpenJDK implementation. The default media player, Totem, is pretty good but it relies on separately-installed codecs to work properly. I’d personally recommend you install the VLC media player, as it includes all codecs and supports virtually every media format under the sun. To install it, just run the command sudo apt-get install vlc. Lastly, if you’ve used PuTTY for all of your SSH needs, you have two options: install PuTTY for Linux, or just use the terminal directly. Installing PuTTY can be done with the command sudo apt-get install putty if you want to install it using the terminal. However, there’s no direct need to install it, because you can connect to any remote host with the command ssh username@this.domain.here, where you replace “username” with the username you’d like to connect as, and replace “this.domain.here” with the host’s actual domain name or IP address — both work. What Are Your Recommended Tweaks? 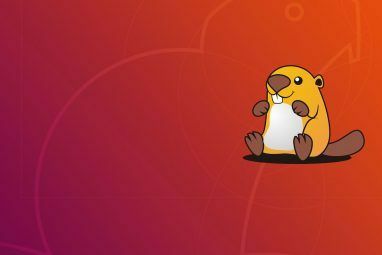 With these additional 10 tweaks, you should feel right at home in your Ubuntu installation, which can easily make or break your Linux experience. There are so many different ways to customize your experience to make it suit your needs; you just have to look around for yourself to see what you want. What other tweaks and recommendations can you share with readers? Let us know in the comments! I want one of those door mats! Rather than use Putty, get hold of PAC Manager. Multi-screens, and really works well. install debian! there is a reason more linux distro's are based on Debian than any of the others(this includes Unbuntu). Some of the applications (e.g. stock trading platforms made only on MS Windows OSs by brokers with no support for any Linux) appear to slow down while applying wine. All of them possibly commercial software like Meta Treader or something similar. They don't have any Linux version. You can Check some alternatives in sourceforge or Google it. And WINE is a emulator possibly..it grab the hardware resources and the main OS first and then serve you other application on top of it virtually..so don't expect much speed with low powered computer! I am surprised by the fact that nobody mentioned Synapse (https://apps.ubuntu.com/cat/applications/synapse/) or Golden dictionary (https://apps.ubuntu.com/cat/applications/precise/goldendict/). And of course you can have a better terminal (http://diggdata.in/post/84846698871/linux-shell-ninja) and text editor(SublimeText). laptop-mode-tools is useful on conserving and preserving your laptop's power hardware. In some measures, CPU Governor is the right choice to call on underclocking your CPU to expand the life of your hardware. I would also recommend users to perform every daily task from the terminal and let it become your boy or girl friend. XMMS2 allows you to import music files and play it on the terminal whilst there are variety you should try. Finch is the derivative of Pidgin in modest of its graphical interface, however performs exactly like Pidgin. Nano, my all time favorite text editor has risen to replace gedit, but remind yourself that Emac is also the Chosen One. What tweaks you'll do next is highly subjective and sometimes, you don't care. But it does matter if you do. With the US government claiming that any data cloud storage servers is part of company's business records and therefore fair game for government inspection, is it advisable to use Dropbox, or any other cloud storage solution for that matter? Or are they your better half's? They don't even respect their own laws, it doesn't matter what they say. If you surf, email, post or use cloud services, they will snoop on you if and when they feel like it. The price of being on the internet is being under the all-seeing eye, and there's nothing anyone can do about it with legislation or technology. Accept it or not. Note: I'm not claiming I like or support this, I'm just saying it is what it is and people should be aware. Installed the Cinnamon GUI on Ubuntu and that made me a happy camper. You can configure the panel location and it has a more traditional "start" menu. But, I have gotten to used to having the panel at the top, that I've changed my Win7 computer at work to have the start menu at the top. I did a typo and meant, had and do apologize. Please keep Linux alive! Enjoy your comments and tips, however there is one common thread I have noticed among Ubuntu and Linux advice, from every editor. Everyone , seems to place commands, like the ones in this column in a single line. New user have a heard time understanding Linux commands. I don't but have had friends, who read these articles and have encountered errors. Could we please, space or explain for newbies, that one sudo command at a time. Just a though. Keep up the great work! As a Windows 7 user I periodically install a variety of trial linux systems, but the very first problem is the screen acreage. It always seems 'low resolution'. I use 1920x1200 in windows and cannot imagine doing image work in less. Why can linux not use the same resolutions as windows on the same monitor? That sounds like you're having driver issues. I run 1920x1200 no problem. What graphics card do you have? It's an old card, NVIDIA GeForce 9800 GT, but, I think, a good one. Mint is Ubuntu with less arrogance and more useability. I would feel more at home in Ubuntu if I could move the panel to the bottom. I know it's just a personal preference, but I can't understand why they think having it on the side is a good idea. Also, why hasn't any third party developed a fix for this? Install chrome, it has the built in flash and is cleaner anyway. OpenJDK is less of a pain in the arse to setup than the proprietary anyway. I haven't seen any difference between the two anyway. Because everyone has a widescreen and then at left is the more logical place then Windows? First, not everyone has a widescreen monitor. Second, why not the right side, then? Why does it have to be what they want instead of what the user wants? Windows allows you to put the taskbar on any side you like, and all you have to do is click and drag. Isn't Ubuntu supposed to be better? "Why does it have to be what they want instead of what the user wants?" Being a Window Fan, you should be used to the developer(s) ignoring the users.
" Isn’t Ubuntu supposed to be better?" It is and the developers will tell YOU what is best for you. Sounds so much like a certain company up in the US Northwest. I just wish we could put it where ever we wanted. That's the only problem I have with it.